If securing the legacy of HIM is important to you please consider bcoming a regular donor. 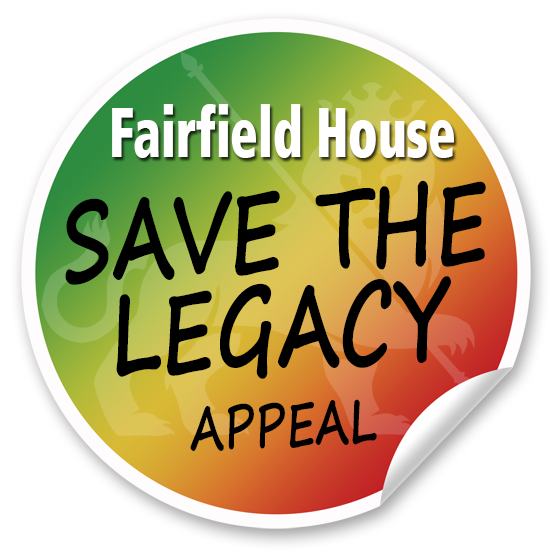 The Friends of Fairfield House rely on fundraising and donations to secure the safe transition of HIM’s legacy for the future, and we need your help now. Becoming a Friend is free. Offering some additional financial support could not be simpler. You can give a one off donation or set up a monthly gift. Give one off or regular gifts online by going to https://localgiving.com/charity/Fairfieldhouse. £25 will help to produce and distribute educational materials about the House to schools and visitors, ensuring that more people know and understand the important role that HIM Emperor Haile Selassie I played across the world. £50 will help ensure we can continue to host cultural events at the House, bringing together the community in Bath and across the UK to celebrate cultural diversity. £100 will help us to promote the Tafari Gallery, providing space for new and innovative art and photographic exhibitions which reflect the history of Fairfield House and the diversity of the groups which use and visit it. In addition to one off donations, you can also give a monthly gift or £1, £3 or £5 a month. This regular contribution enables Fairfield House to plan long term and makes it easier for you. To give this way, simply click on the monthly option and decide how much you want to contribute each month. All contributions, no matter how big or small, will help ensure that the legacy of HIM Emperor Haile Selassie I lives on for future generations to appreciate and celebrate.